is the most complete, top of the line, all-in-one liquid dietary supplement manufactured by the company, DruckerLabs. The formula contains over 415 essential ingredients that are derived from whole food sources and 71 organically bound trace minerals. 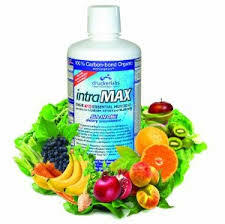 IntroMAX’s ingredients can be found at this link: http://store.druckerlabs.com/intraMAXinfo_s/117.htm. If you’re local to our clinic, you can get IntraMAX from us.